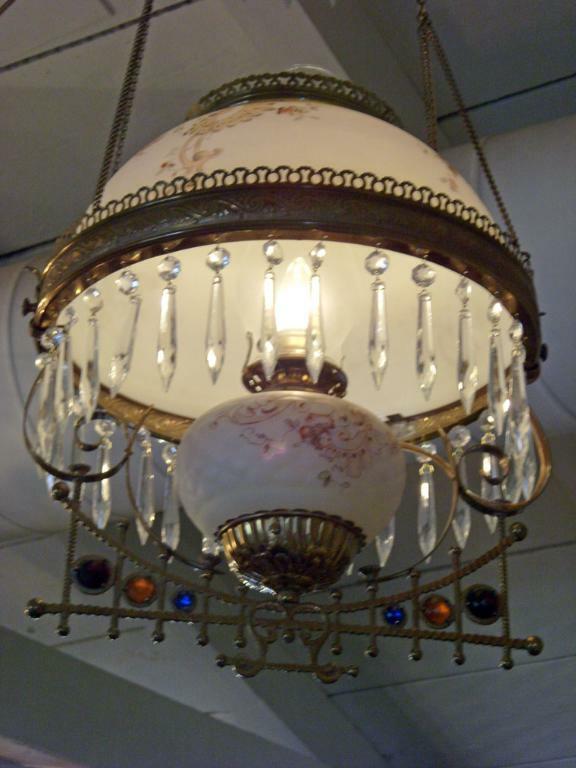 Victorian Hanging Gone With The Wind Light -- Beautiful vintage Gone With the Wind light fixture with what appears to me to be Mt. Washington glass font and matching flowered shade. The font is quilted glass, while the shade is regular glass, but they are both definitely original to the lamp. The frame has beautiful red, amber and blue jewels. This fixture measures 45" to the top, and the shade is 14" in diameter. It is in perfect condition. 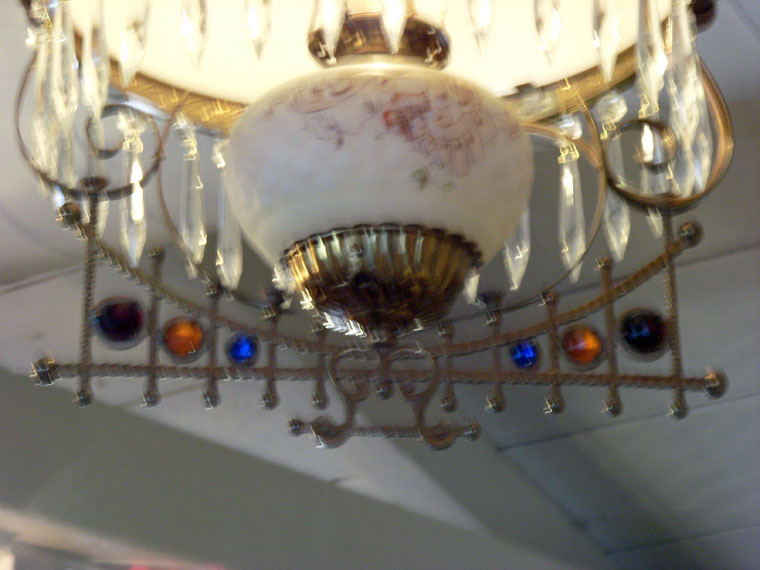 Beautiful vintage Gone With the Wind light fixture with what appears to me to be Mt. Washington glass font and matching flowered shade. The font is quilted glass, while the shade is regular glass, but they are both definitely original to the lamp. The frame has beautiful red, amber and blue jewels. 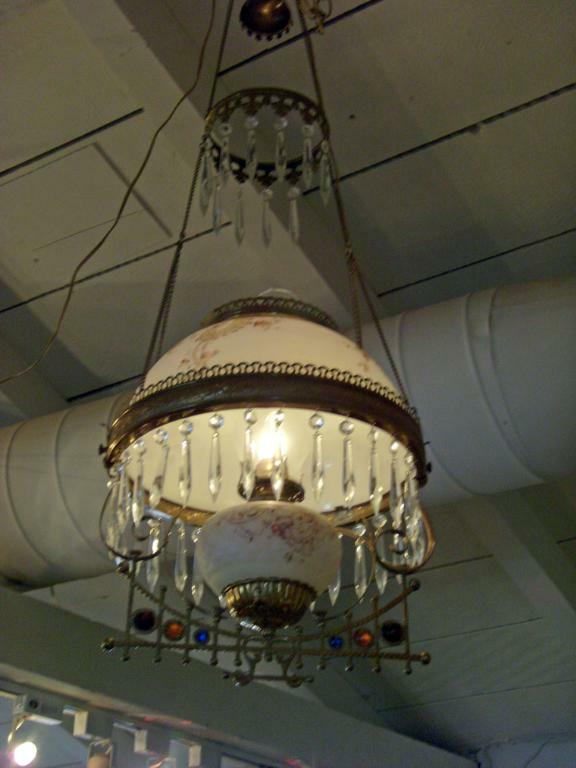 This fixture measures 45" to the top, and the shade is 14" in diameter. It is in perfect condition.